Hayabusa Black & Silver Parts. 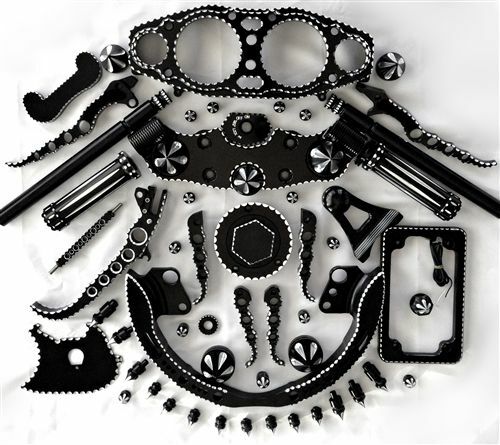 We stock several hundred different parts for your custom sportbike. Our parts are the Best of the Best Manufactured In The USA! We stock what we sell and ship fast. Give Ball Z Motorsports a call with any questions. Tie Downs Wheel Chocks ETC. We found 148 results matching your criteria. We have a Huge selection of Black & Silver Contrast Billet Parts & Accessories. This is accomplished by first CNC Machining the parts. Then polishing them to remove any machining marks. The parts are then show quality bright dipped black anodized. Finally the parts are put back inside the CNC machine and the silver areas are machined to expose a killer Black/Silver Contrast look. All of the work is done in the USA using only the best machinery and finishes. Items Are In No Way Shape or Form Affiliated With And Or Offered By Suzuki Corp! Give your bike a detailed unique look sure to impress!